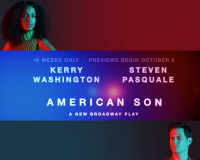 New Heritage Theatre Group recommends purchasing your tickets early to see Kerry Washington in "American Son." This limited engagement featuring Kerry Washington & Steven Pasquale is directed by our friend Kenny Leon. Previews begin October 6, 2018. 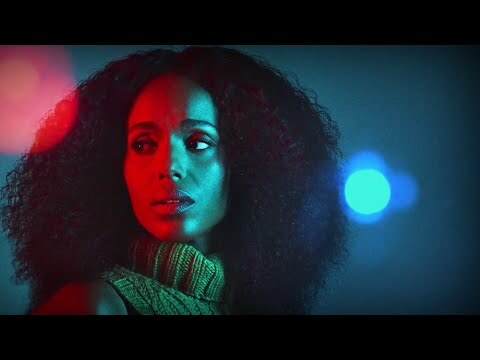 KERRY WASHINGTON as "Kendra Ellis-Connor"
STEVEN PASQUALE as "Scott Connor"
EUGENE LEE as "Lieutenant John Stokes"
JEREMY JORDAN as "Officer Paul Larkin"
(New York, NY) - The Broadway premiere of AMERICAN SON stars Emmy, SAG, and Golden Globe Nominee Kerry Washington ("Scandal," Race), Drama Desk Award Nominee Steven Pasquale ("The People Vs. OJ Simpson: American Crime Story," Bridges Of Madison County), Eugene Lee (Gem of the Ocean), and Tony Award Nominee Jeremy Jordan ("Supergirl," Newsies). Written by Christopher Demos-Brown and directed by Tony Award winner Kenny Leon (A Raisin in the Sun, Fences), AMERICAN SON will begin performances on Saturday, October 6, 2018 with an official opening night set for Sunday, November 4, 2018. 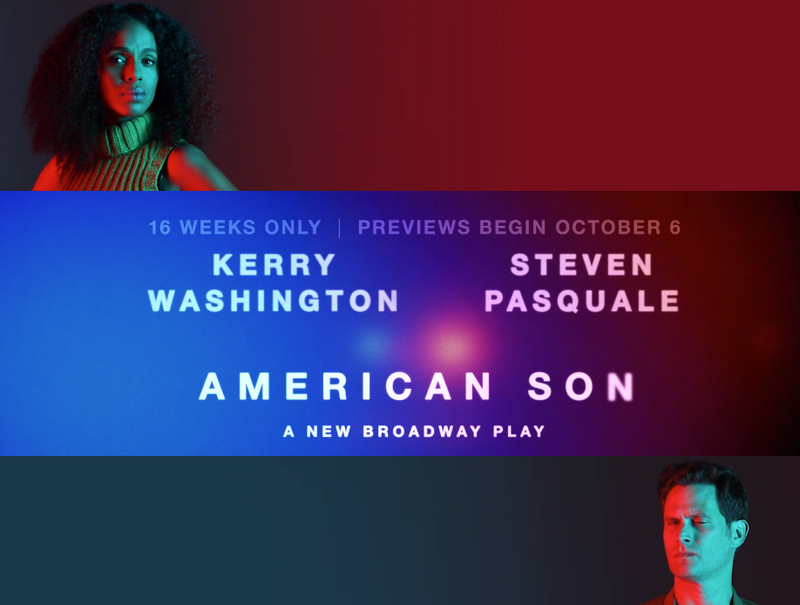 American Son is playing a limited 16-week engagement at the Booth Theatre on Broadway (222 West 45th Street) through January 27, 2019. A Florida police station in the middle of the night. Two parents searching for answers. AMERICAN SON is a gripping tale about who we are as a nation, and how we deal with family relationships, love, loss, and identity. "Christopher Demos-Brown has written a play that dives deep into the big questions of who we are as a nation, by exploring the intimate relationships within a family caught at the crossroads of love, loss, identity and community," says star Kerry Washington. "After reading the script I was immediately enthralled by the world of the play and the gripping circumstances that these characters are facing. I am excited to step into the ring with Kenny & Steve to tell this story on Broadway." American Son was awarded the 2016 Laurents / Hatcher Award for Best New Play by an Emerging Playwright. Ticket Information: Tickets are on sale at telecharge.com, 212.239.6200, or at the Booth Theatre box office (222 West 45th Street). Ticket prices range from $79-169. Student rush tickets will be $37. 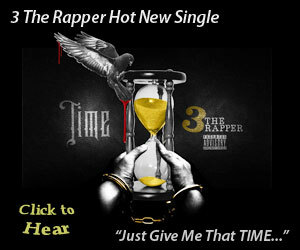 All prices inclusive of $2 facility fee, subject to availability. For groups of 10 or more, contact Broadway Inbound at broadwayinbound.com or 866.302.0995. From October 6 - November 3, American Son will play Tuesday-Saturday evenings at 8pm,Wednesday and Saturday matinees at 2pm and Sunday at 3pm. Beginning November 6, the schedule will be Tuesday-Thursday evenings at 7pm, Friday and Saturday evenings at 8pm, Wednesday and Saturdays at 2pm and Sunday at 3pm.